A unique opportunity to live at Mile High with one of the best addresses in Denver - 5280!! 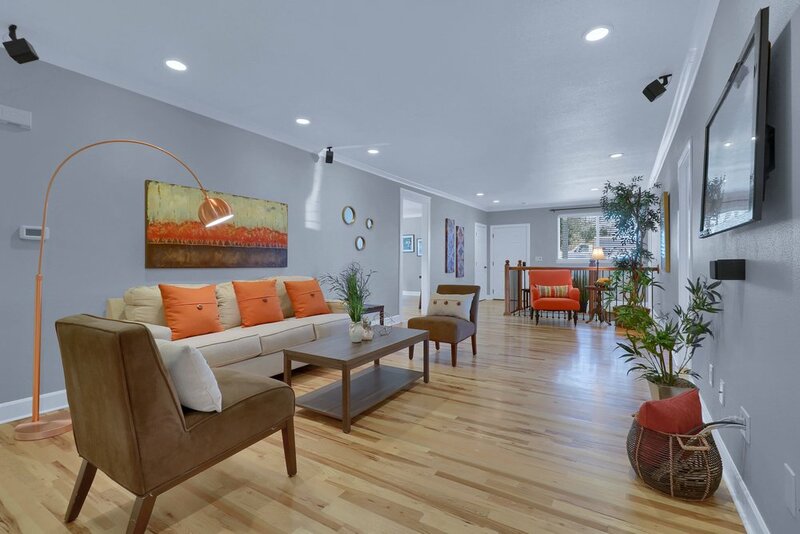 This charming bungalow has been completely updated and remodeled with many designer touches throughout! Boasting one of the largest Ranch style homes in Berkeley, this open floor plan highlights: hardwood floors throughout the main level, updated lighting, wrought iron railing, large kitchen with slab granite counter tops, stainless steel appliances, farmhouse style dining room with charming stove and custom built-ins, & french doors leading to the covered patio! With its 3 guest bedrooms, full bath with 2 sinks, combined with the Master Bedroom, walk-in closet, & master bath - this home is rare indeed!! Fully finished basement with new carpet, new trim, laundry room and half bath!! The exterior has a new roof, workshop in the back or private studio, off-street parking, RV parking, fenced yard, and new landscaping in the front. Prime location, sprawling ranch, all updated, move-in ready! !